This may not be the most beautiful beach but it is one dearest to me. 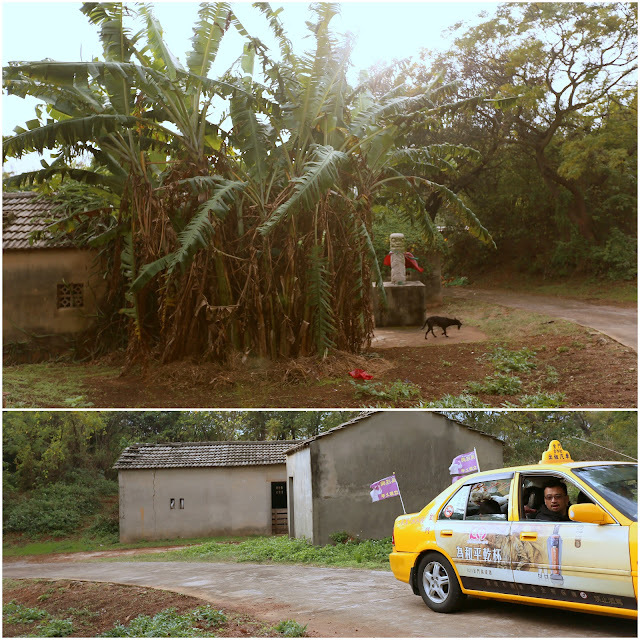 Since young, I heard so many stories from my late Ah Mah about her life in Kinmen (金門). Even at the final days of her life when most memory failed her, she kept reciting about the beach where she and grandpa went to collect oysters every morning. The beach must have left her with such a deep memory, even at the final days of her life, she couldn’t remember me or her loved ones, she kept reciting the same old story time after time. When she passed away in 1999, I promised myself that one day I must visit this particular beach where Ah Mah and Ah Gong used to live. With my loved ones and family. I never forget this promise. It takes me 16 years to fulfil this promise. 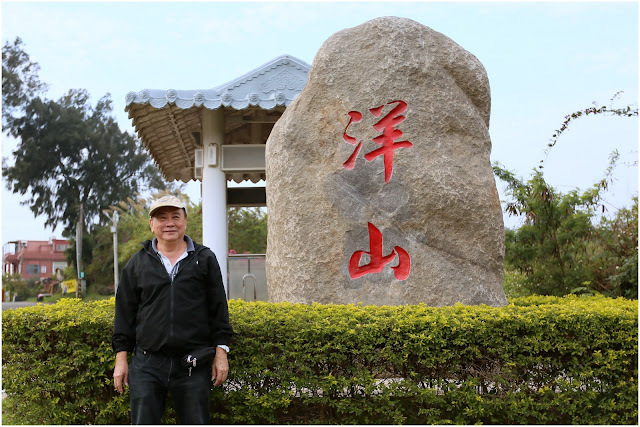 This is the one and only reason why we come to Kinmen. To find back our roots. 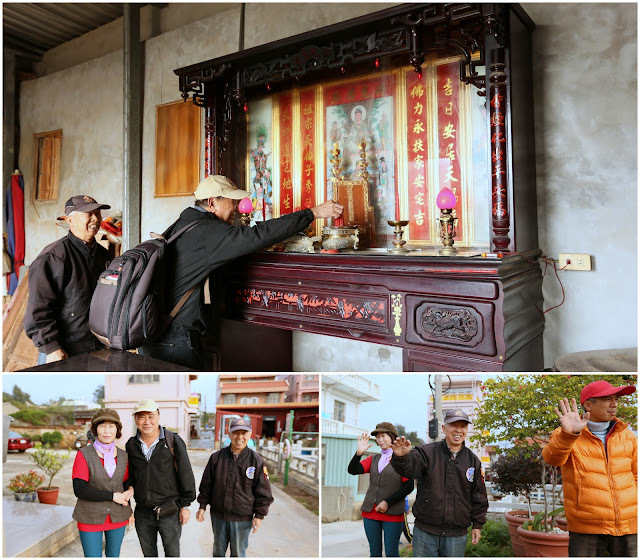 It will be a meaningful trip for my parents and my son. For me, I have been dreaming about this “beach” Ah Mah often mentioned, I want to be at the spot she mentioned in all her stories. 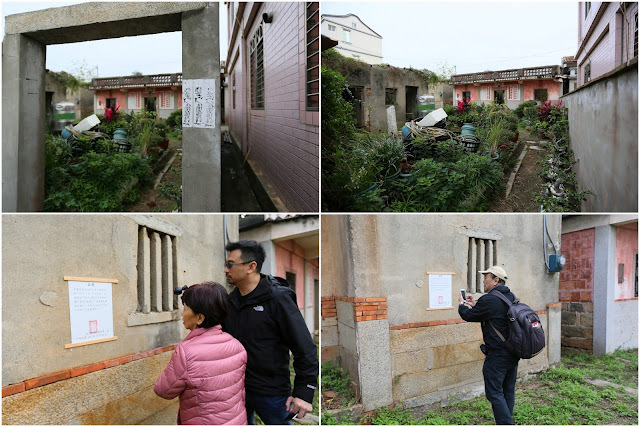 Thanks to my cousins Xuejun and Chee Bin who directed me to the right local contact, we managed to locate the address of our late grandparents’ old home. 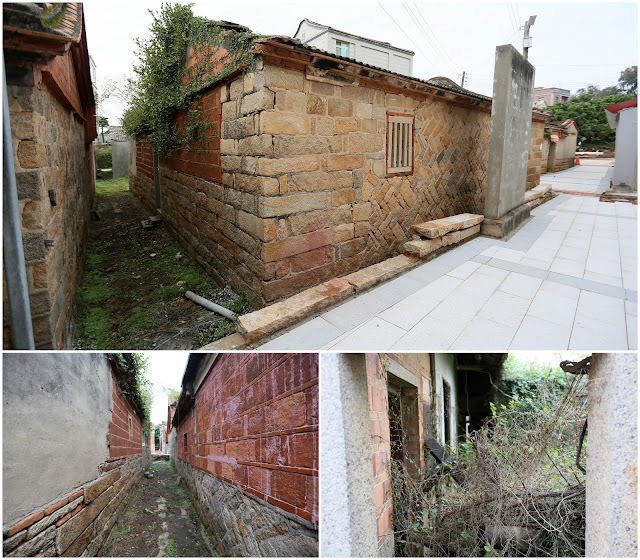 The old house sits opposite the beach in a very small district of Yangshan (21,22 洋山). 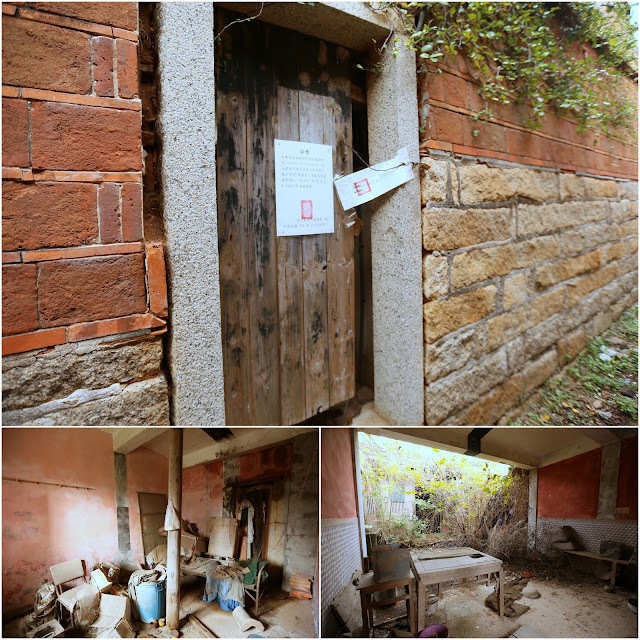 An old distant relative and some neighbours came out to welcome us and brought us to the old abandoned sealed house. It was very very old. A government seal was pasted on its wall. 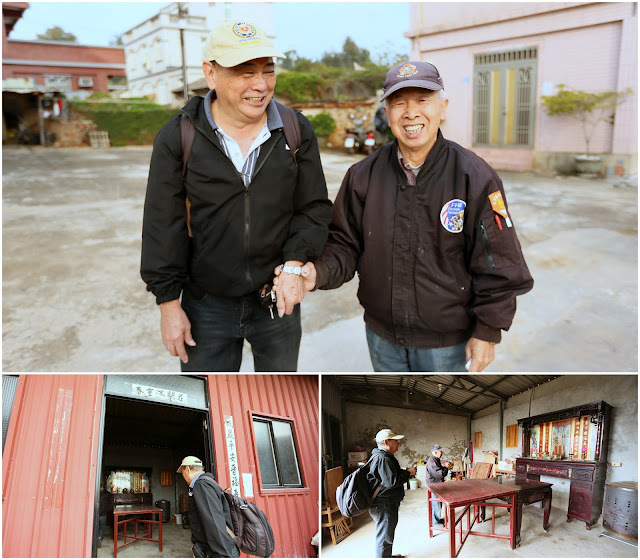 It stated the owner of the building (my deceased Ah Gong) and it was under the protection of the government. 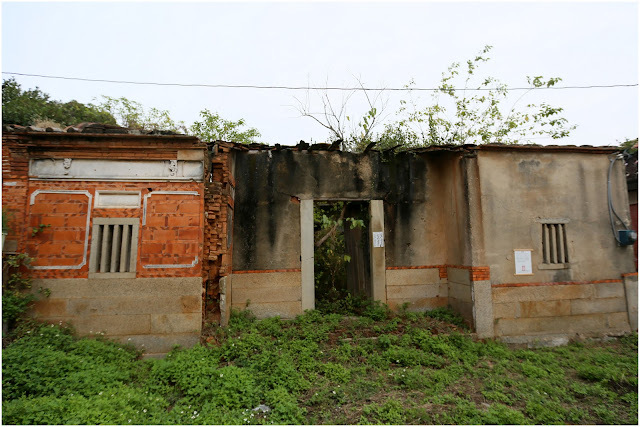 The exterior walls looked clean and intact but the building’s interior was occupied by dense vegetation. It was impossible to enter the compound. 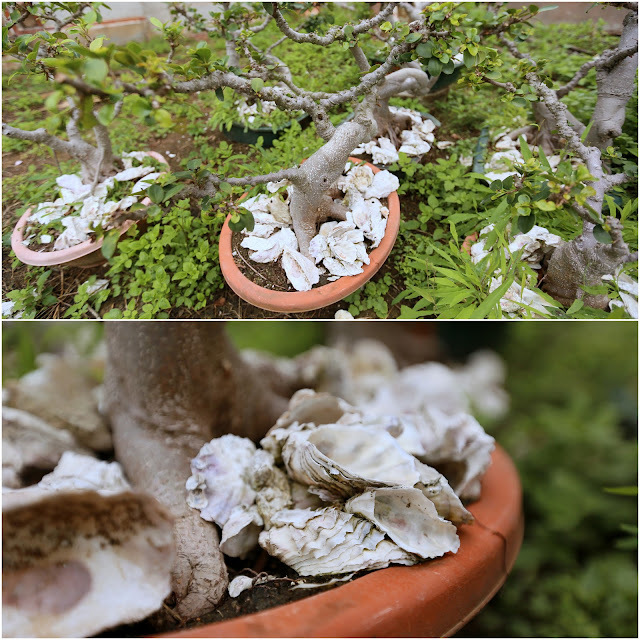 There were a lot of empty oyster shells littered around the compound. I asked the neighbour about the beach. They told us it’s a short walking distant right across the road. 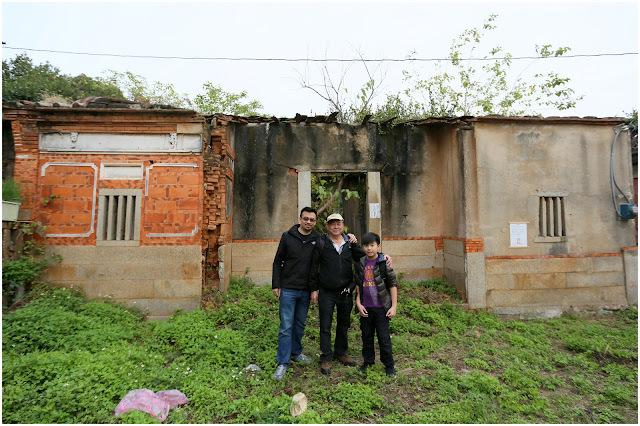 Before we left the compound, we took a 3-generation photo (my dad, son and me) at the entrance of the old house and headed out to the beach. It was only a short 3-minute walk away. “Look opposite and you see Xiamen” the old neighbour pointed to us. 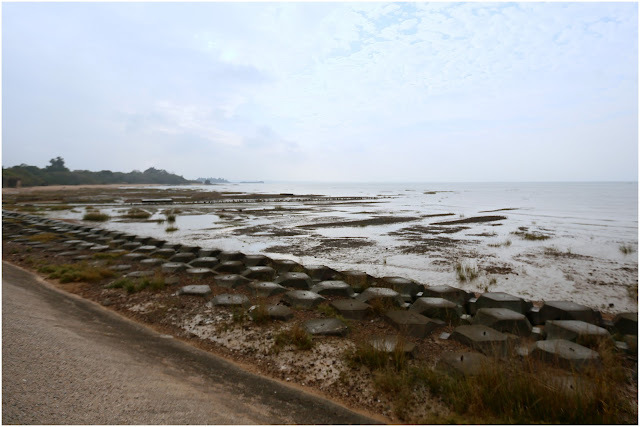 The seashore is unlike the sandy beach my Ah Mah described, it is now bunkered by concrete stabs to prevent erosion of the shoreline. A road separated the house and the beach. I was a little disappointed when I saw it. It was just so different from what I had imagined. I was surprised and delighted to hear that and took out my camera to capture the areas she pointed. 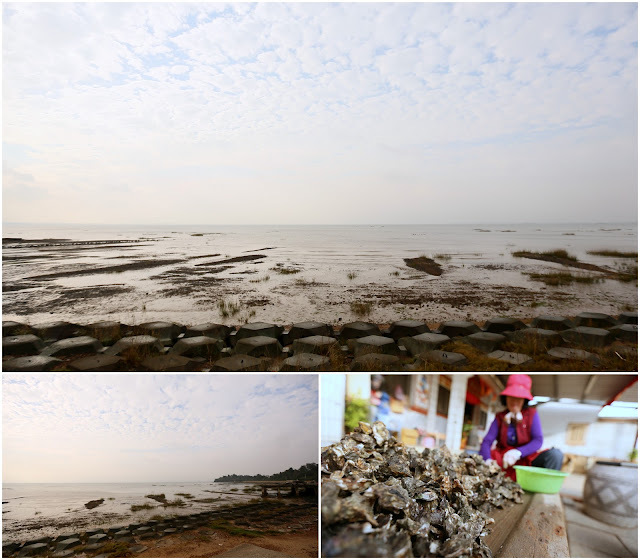 The neighbour then brought us to another house where we saw a middle aged lady extracting oysters from the shells. On the way back to our cab, I took one last look at the sea and the rocky sandy beach, I can finally put a good closure to the missing part of my 16-year vision of the story my late-Ah Mah shared. It is nothing but beautiful. Miss you so much again, Ah Mah.